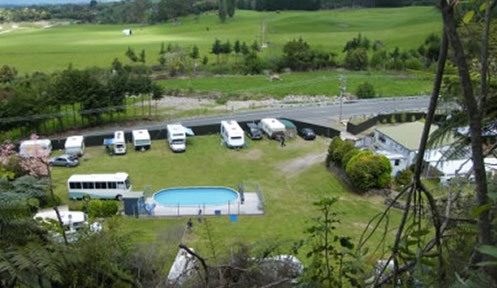 The Bay of Plenty Sun Club is situated in idyllic surroundings overlooking the countryside in the eastern Bay of Plenty in the North Island of New Zealand. 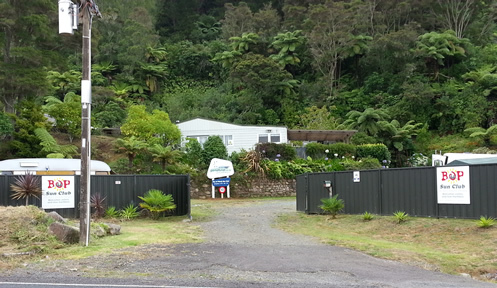 The sheltered grounds consist of grass lawns surrounded by native forest and a stream. Here tuis, wood pigeons and other native birds can be seen. The facilities are clean and tidy and include a well equipped clubhouse, swimming pool, spa pool and children's playground. 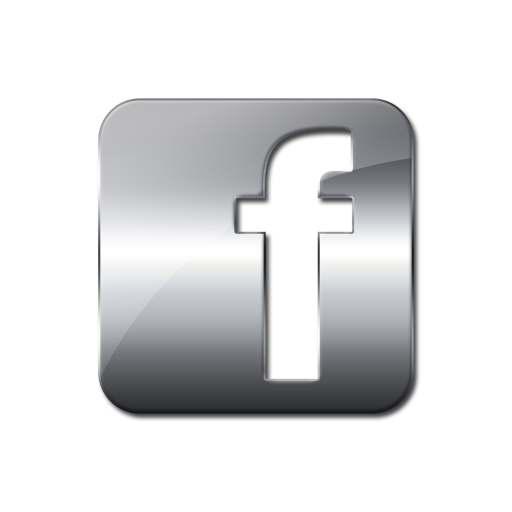 There is ample room for camping, caravans and motorhomes and there is an on-site caravan for rent. The club consists of 0.8 hectares of lawn surrounded by native bush. There is a stream running alongside the club grounds and there are tracks through the native bush where you can walk au naturel. During the summer, wild blackberries can be collected along the track. 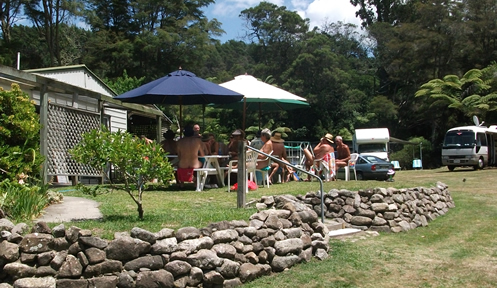 The Bay of Plenty Sun Club has a comfortable club house, with attached kitchen and ablution block. The clubhouse has a wood burning fire for cooler nights and a comfortable lounge with Freeview TV. Indoor games (board games and darts), pool table and a library complete the facilities in the lounge area. The fully equipped kitchen has two ovens, a microwave, two frigs with freezers and all kitchen utensils such as crockery, cutlery, pots and pans available to campers. There are two toilets and showers in the adjoining ablution block. On the eastern side of the clubhouse, there is a covered outdoor area overlooking the local countryside, which is an ideal place to have breakfast or where you can relax in the shade later in the day. In this area, a BBQ is available all year round. In front of the clubhouse, there are picnic tables and umbrellas which creates a congenial meeting place for everyone to enjoy at any time of day. There is a solar heated swimming pool in the centre of the grounds, which is well used during the summer. As well, there is a spa pool, which is in a covered stone wall area close to the clubhouse. This is popular on cooler nights and during the winter. We have a miniten court and plenty of room to play petanque and golf. For the children, there is a well-equipped children's play area, including a trampoline.